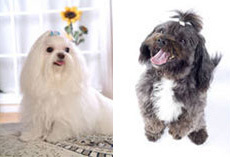 We offer dog grooming services for those dogs having a "bad hair day" whether it's a complete makeover or just a tidy up. With over 30 year experience in grooming the professional and fully trained staff of A.C.E. Grooming Alfred Street, Noble Park can do a tidy up or a full breed clip. Their professional and fully trained staff will achieve excellent results.